The Language Acquisition Resource Center (LARC) at the College of Arts & Letters at San Diego State University is one of only 16 in the United States, established by the Department of Education in 1990 in response to the growing national need for expertise in foreign languages. Particular attention is paid to less commonly taught languages, cross-cultural issues, language skills assessment, and teacher training. At SDSU, the languages taught are Arabic, Chinese, Persian (Farsi), Portuguese, and Russian. Among the nationally and internationally recognized language professionals that typify LARC instructors is Ruey-Jiuan Regina Wu, who teaches the Project Go Chinese Summer Intensive course. The LARC’s Summer Intensives enable students to complete an entire year of foreign-language studies in just five weeks, or two years in 11 weeks. Wu is a professor of Chinese and Linguistics in the Department of Linguistics and Asian/Middle Eastern Languages at SDSU. 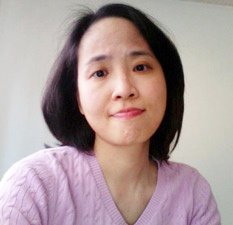 She received a master’s degree in TESOL from the University of Washington, and a Ph.D. in applied linguistics from UCLA. Her book, Stance in Talk: A Conversation Analysis of Mandarin Final Particles (2004, John Benjamins), is one of the pioneering conversation analytic studies of Mandarin Chinese. By invitation, she served as the external evaluator for the 2005 Chinese Summer Institute on Pragmatics in the Chinese as a Foreign Language Classroom, sponsored by the East Asian National Research Center and the National Foreign Language Research Center of the University of Hawaii-Manoa. She has also participated in several language testing projects, including the co-development of a nationwide preparation test for the SAT-II Chinese Language Test, and has been involved in projects related to K–12 Chinese language education and teacher-training in San Diego. Professor Wu answered a few questions about her Chinese Summer Intensive courses. How many hours per day are students in class, and how much time is required outside the classroom? The Project Go Chinese Summer Intensive courses meet five days a week, Monday through Friday, 9 am–12 pm and 1–3 pm. The ROTC students will need to spend an extra two hours of instruction on Tuesdays and Thursdays. This is an extremely intensive program. For my students, they’re expected to spend 3–5 hours every day out of class for studying and homework. How fluent can students expect to be after a Summer Intensive? Realistically speaking, we can’t cover as many lessons during the five weeks of instruction as the regular semester, which is 14–15 weeks long. However, I designed and adapted teaching materials/activities and homework assignments specifically for the summer intensive program. Interestingly, I noticed that ROTC students who took my summer intensive courses could actually end up listening and speaking better than those who are enrolled during the regular semester. On RateMyProfessors.com, students consistently say that, despite Chinese being a difficult language to learn, you do a great job of breaking down and clarifying concepts. Can you give an example? Thanks. I am glad that students are positive about my teaching. I think I was quite inspired by the course “Pedagogical Grammar” taught by Prof. Marianne Celce-Murcia while I was a Ph.D. student at UCLA. Rather than reinforcing rote memory, I always try to develop relevant communicative activities to facilitate students’ understanding of the language and, more importantly, the ability to use it. What does the cultural awareness portion of the course entail? Because of the generous funding of LARC, we were able to take students to order food (in Mandarin Chinese) at a local Chinese restaurant, to order and drink Chinese Boba Tea at a Chinese cafe, to have a field trip to a Chinese grocery store and buy ingredients before going back to the students’ apartment to cook Chinese meals together, etc. We also taught them how to do Chinese calligraphy and watched Chinese TV series and movies. And of course, we sang a lot of Chinese songs too. The purpose is to have them experience the culture through all these activities and experiences. What’s your favorite aspect of teaching at the LARC? LARC is extremely resourceful and their staff are extremely supportive and helpful. I thoroughly enjoyed working with them! For more information, visit neverstoplearning.net/larc.